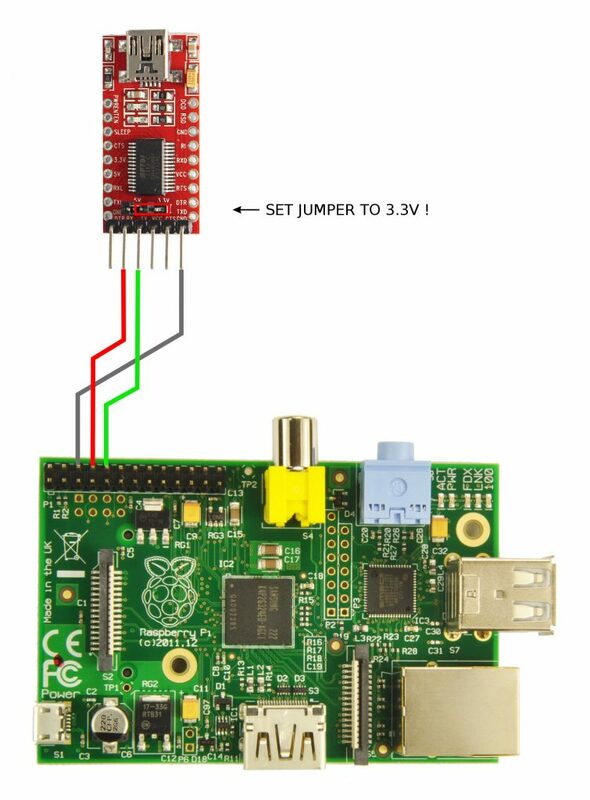 As I sometimes have odd behavior with my Raspberry Pi (the USB/LAN is stopping working, while the whole raspberry does still work), I had to find out the method to debug this specific problem. Connecting HDMI display and a keyboard in place where I have it running would be problematic (besides – the USB keyboard also may not work if there are indeed USB problems), so a obvious choice was the UART connection in the Raspberry. 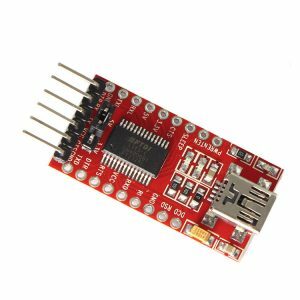 The TX/RX lines has to be crossover-ed to make it working (FTDI module’s RX to Raspberry’s TX and vice versa). Don’t forget to set the voltage selection jumper to 3.3V to be compatible with Raspberry Pi signal levels. This has to be sufficient to receive kernel debug logs over the serial connection. The FTDI device was successfully detected on my laptop and the /dev/ttyUSB0 was assigned. And I was able to see the kernel logs when the Pi was booting up! su root -c "getty -L ttyAMA0 115200 vt100 -n -l /bin/sh"